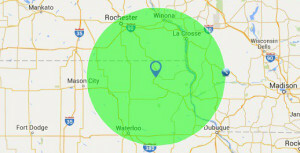 We offer a broad range of tree health consulting services to Northeast Iowa, Southeast Minnesota and Southwest Wisconsin. Let our knowledge and expertise assist in the management of your trees’ health and vigor. Regular tree health evaluations can catch changes in a tree’s health and vigor before a disease, insect, or environmental problem becomes too serious to address. Ideally, mature trees should be inspected at least once a year. A formal assessment evaluates a tree’s likelihood to fall, as well as its risk to people and property. Our arborists can identify structural defects or damage that might increase the likelihood of tree failure, and offer solutions to mitigate or minimize tree risk. A tree appraisal establishes the monetary value of trees, and is used to determine the loss in property value for insurance claims. Even the smallest amount of construction activities can can irreversible damage to large numbers of trees. Our tree preservation plans offer tree care and cultural recommendations to help minimize the risk of tree loss and maximize the benefits of the trees to the overall property.